A new agreement has been struck between Vodafone and O2 to share base stations throughout the UK. The move will see the two large networks sharing 18,500 sites throughout Britain, and will enable a 40% increase in site locations for each operator. The upshot of this is wider coverage for their customers – but don't think this is the same as the tie-in with Orange and T-Mobile, which merged to form a new company in the shape of Everything Everywhere. 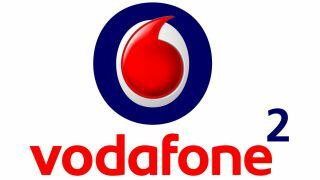 O2 and Vodafone have explicitly stated they will continue to operate as full competitors despite sharing the site locations – this move is a continuation of the project that started over two years ago. The two networks are also claiming the move will help deploy 4G networks sooner and more efficiently, as achieving the Ofcom target of 98% of indoor 4G coverage by 2017 up to two years earlier than that deadline. However, it's unlikely such a move will mean an acceleration of the 4G auction happening as that's still in the hands of Ofcom - O2 has told TechRadar this move is to improve coverage, reach, efficiency and allowing a further investment in innovation. The two networks have also drawn a massive line down the middle of the UK and divvied up the base station management, with O2 nabbing the east and Vodafone the west – although somehow O2 has managed to consider Northern Ireland part of the east side. So what's the upshot? A more efficient network for both Vodafone and O2 customers and 10% fewer sites around the UK as the redundant masts are decommissioned. Whether this will result in cost savings for the consumer remains to be seen – we can but hope.